(New York) - Philip Morris International's public commitment on May 9, 2011 to protect the rights of tobacco workers in its global supply chain is an important first step, Human Rights Watch said today. Rigorous independent monitoring will be crucial to realizing full protections for workers, Human Rights Watch said. Philip Morris International (PMI), one of the largest tobacco companies in the world, published a statement on its web site acknowledging "many challenges" remaining to the protection of workers on farms in Kazakhstan supplying tobacco to its subsidiary, Philip Morris Kazakhstan (PMK). The company committed to rectifying labor abuses on tobacco farms in Kazakhstan and also announced plans for a labor practices code to be carried out throughout its global supply chain. "Philip Morris International's commitments to ensure protection of workers, including migrant workers, in Kazakhstan and in more than 30 other countries, is profoundly significant," said Jane Buchanan, senior Europe and Central Asia researcher at Human Rights Watch. "Effective monitoring will be key to making sure PMI is never again in the dark about abuses anywhere in its supply chain." The May 9, 2011, statement from Philip Morris International accompanied the publication of a report by Verité, an independent non-profit organization that monitors labor abuses. The company commissioned the report in 2010 to examine labor conditions on farms in its tobacco supply chain in Kazakhstan. 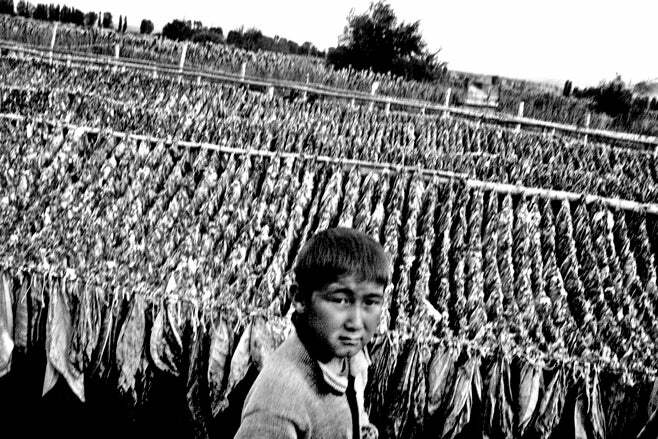 In 2009, Human Rights Watch documented the abuse and exploitation of many migrant workers employed by farm owners in Kazakhstan who are under contract with and supply tobacco to Philip Morris Kazakhstan (PMK). Abuses included failure to provide written employment contracts; cheating workers of earnings; and, in the worst cases, forced labor, or situations analogous to forced labor. In some cases, employers confiscated migrant workers' passports and even required them to perform other work without pay or compensation in addition to tobacco farming. In October 2009, Human Rights Watch brought to PMI its concerns about the treatment of migrant workers on tobacco farms producing tobacco for PMK. In response, both PMI and PMK promised to address the abuses and practices documented by Human Rights Watch. "Our research found migrant tobacco workers in Kazakhstan were suffering abuses in part due to lack of effective oversight," Buchanan said. "It's great that Philip Morris International recognizes the importance of monitoring for real change on the ground, and we strongly encourage the use of completely independent third-party monitors for maximum credibility and transparency." The Verité report, based on an investigation begun in August 2010, identified a number of shortcomings in labor practices on tobacco farms in Kazakhstan and made extensive recommendations for improvements to PMK and PMI. The report also found practices on farms supplying tobacco to PMK that did meet minimum standards. Philip Morris International, Inc. is a United States-based tobacco company incorporated in Virginia and headquartered in New York. Its primary center of operations is in Lausanne, Switzerland. It was originally a subsidiary of Altria Group, Inc., a conglomerate that includes Philip Morris USA, Inc. Philip Morris International has been an independent company since 2008.